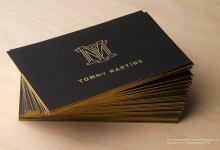 Our Metropolita template is a distinguished way to let your cards shine. 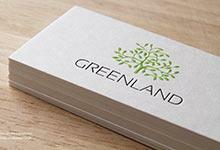 This brilliant design uses regular silver foil layered over our full bleed metallic silver ink. This combination creates a subtle yet beautiful contrast. Offset printing on the reverse side of this card is perfect for showcasing a headshot, which is necessary for many realtor cards to inspire a sense of trust between distributor and receiver. This template is printed on a luxuriously soft, 29.5PT thick, smooth white cardstock, and is perfect for those involved in real estate. The front immediately draws the attention of recipients, ensuring it stands out from the crowd and portrays a crucial air of sophistication and extravagance that receivers instantly identify as a marker of the class and high-end services that your business delivers. On the opposing side, the inclusion of offset printing creates a more welcoming appeal that encourages a personal response from recipients, inviting receivers to view your business as dependable and sincere.